Customize your Cadillac suspension with our easy to install Plug & Play air ride systems. 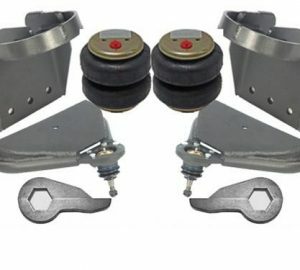 Give your Cadillac the most comfortable ride you have ever felt without sacrificing the load capabilities with our quality built plug and play air bag suspension kits. 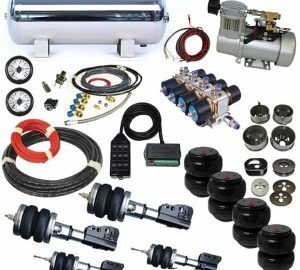 These air ride suspension systems are custom built to fit your vehicle and are rigorously tested to insure 100% operation of all components, from the controls, air management to the chassis equipment! Limiting your Cadillac’s stance and ride quality is a thing of the past, enjoy long lasting aftermarket air bag suspension performance with one of our complete and over built plug and play air bag kits. All air ride suspension systems come standard with approx. 6 – 6.5 inches of adjustable travel. If you are looking for a custom ride height or additional travel please let us know by calling or emailing one of our knowledgeable associates.